Clifford Goldman served as State Treasurer during the administration of Governor Brendan Byrne from 1976 to 1982. Previously, he was the first executive director of the Hackensack Meadowlands Development Commission in the administrations of Governors Richard Hughes and William Cahill and an assistant to Commissioner Paul Ylvislaker of the Department of Community Affairs. 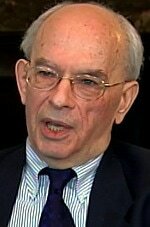 He has worked as a financial consultant to many state, county and local government agencies and authorities and taught public finance as a Visiting Professor at the Woodrow Wilson School of Public and International Affairs at Princeton University, where he was awarded a Ph.D and masters degree, and also holds a B.A. degree from Rutgers University. record. Other than my own exercise in nostalgia as one who served Byrne as his state treasurer, I thought it might be useful--particularly during an election year when we choose among those contending to be our next governor--to recount how governors like Byrne once were able to confront major issues, make decisions risking their political careers and leave a record of accomplishment. 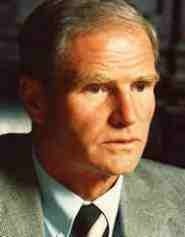 Brendan Byrne was elected Governor in November 1973. Politically, his landslide victory owed much to the national backlash against the Watergate scandal of the Nixon White House. Economically, he took office as New Jersey entered its steepest decline since the Great Depression as its traditional manufacturing base eroded; the situation soon worsened during his first months as governor from the impact of the embargo imposed on petroleum exports to the US by oil-producing nations resulting in shortages in supplies and spikes in prices bringing record unemployment, inflation and interest rates. Apart from national and international trends, in the transition before taking office, he faced pressing problems which could not be put off until after he took the oath of office. The most difficult fiscal and political hurdle facing Byrne upon his election was the decision of the New Jersey Supreme Court, issued just as the 1973 primary election campaign began, declaring that the state’s dependence on the local property tax for funding public schools was unconstitutional. His two predecessors, Republican William Cahill and Democrat Richard Hughes, each had failed in their efforts to secure sufficient legislative support to enact an income tax to increase state aid to public schools in the poorest districts. But before Byrne could address the school funding issue, soon after this election in November he was asked by outgoing Governor Cahill to rescue the faltering plan to build the Sports Complex in the Meadowlands, highlighted by a new football stadium for the New York Giants which Cahill had promised to lure the team to relocate to New Jersey. Politically, it would have been easy for Byrne, still only governor-elect, to have ignored Cahill's plight, where the new Sports Authority had been unable to sell the bonds to finance the project, which Cahill viewed as the keystone for his larger plan to restore the Meadowlands through cleaning up its garbage dumps and pollution, thus bringing new opportunities for recreation, entertainment and development within easy access to the state's most densely populated centers. To Cahill, the Meadowlands project, along with the recruitment of the Giants, was a step toward confronting New Jersey's long-standing image problem as a backwater to New York City. Yet Byrne accepted Cahill's argument that the plan--and showing that New Jersey was capable of getting it done--was important for gaining respect for New Jersey. He re-negotiated the deal with the Giants so that the Sports Authority, not the Giants, would run the stadium and profit from events there, with the Giants as a tenant paying rent for the days they needed for games and practices. After getting the Giants to sign off on the new deal, Byrne agreed to have the State back over $300 million of Sports Authority bonds, a very difficult decision considering that the marketplace had recently rejected that investment. His first State budget, due in a few months and with projected tax revenues eroded by the economic impact of the oil embargo, was projected by career budget professionals to be $300 million in the hole, a large amount in those days when total state spending was under $3 billion (compared to the current total of $35.5 billion). Thirty years later, the stadium was netting $20 million a year when it was essentially given away to the Giants and Jets. ​ When the Court shut the schools in mid-1976, the legislature was forced to enact an acceptably revised version of Byrne's original plan. By then, he had earned the nickname "One-Term-Byrne" and his popularity in the 1977 re-election year sank to 17%, the lowest ever recorded since such surveys had begun. But the income tax and property tax relief worked as planned, both economically and administratively. Homestead rebate payments were sent out to taxpayers without a hitch. In the spring of 1977, the State income tax refunds arrived a week before the federal refunds. Property taxes went down. The State was handling seven times as much paper, but nothing went amiss. And, Byrne was re-elected by a landslide against Ray Bateman, a most admirable Republican opponent who had been forced by the right-wing of his party to propose an unworkable alternative to the Byrne tax plan. Overall, the approval of the Byrne tax program achieved the goals of the state Supreme Court and Byrne himself in confronting an issue which had produced decades of political stalemate and raised long-needed revenues for the state's poorest schools. Nonetheless, whether those resources subsequently have been put to their most efficient and effective use by state and local educational administrators in improving student performance is a legitimate issue for current debate.